It’s that time of year again. The days are getting shorter, the air is getting colder, and your hands are as dry as a cat’s tongue. The humid season is gone, and you’ve got no choice but to moisturize. Your hands are exposed to all sorts of pain and torment throughout the year. If you do any sort of labor, like cleaning or cooking, then there’s a good chance that your hands are at least a little raw. It doesn’t help that the winter air is notoriously arid. Just as a test, think about how dry the tips of your fingers feel right now. Think about how dry your lips feel. You can fix your lip problem with just about any brand of chapstick, but you’ll need a serious hand cream for those hands. Now, stop yourself from thinking that a regular, all-purpose body lotion will save your wilted hands. Those hands go through hell every day, a hell that’s never been experienced by your shoulders or your calves. Have you ever washed a pile of dishes with your elbows? Have you ever gotten a splinter in your back? Didn’t think so. Body lotions are just too thin to fully moisturize your bleach-exposed, tool-gripping, wintertime hands. That’s why you need to use a dedicated hand cream or a thick moisturizer. 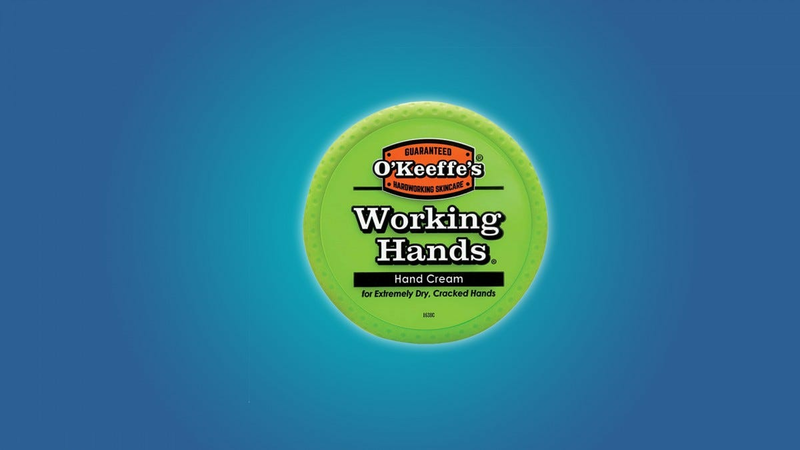 O’Keefe’s Working Hands is a great hand cream for on-the-go, everyday use. It’s made from a blend of fats and polymers that hydrate your hands and lock in moisture, without leaving behind a greasy mess. Since O’Keefe’s mostly works by sealing the moisture that’s already in your hands, it’s good to reapply it often. Unlike shea or cocoa butter, O’Keefe’s won’t leave behind a smell, and you don’t have to worry about it melting and leaking out of its container if you happen to leave it in the car. While O’Keefe’s won’t provide the deep hydration of products like shea butter or Miracle Hand Repair, it will give you a portable, grease-free moisturizing experience. And at $6.49, O’Keefe’s is a steal. 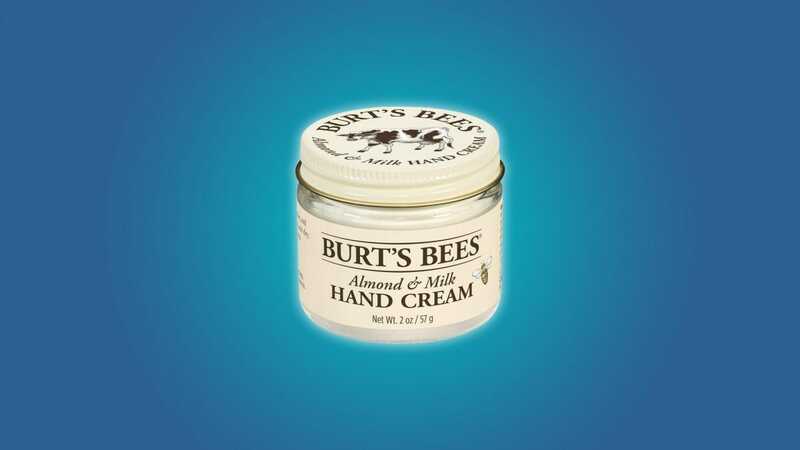 If you’re looking for a fragrant cream that you can really work into your hands, then you should check out Burt’s Bees Almond and Milk Hand Cream. It’s made with almond oil and beeswax (among other things) which makes it especially good for cracked, dry, sad hands. Almond oil is usually used as a massage oil. It’s a ridiculously heavy oil, and it sits on your skin like cooking oil. This product is made up of a lot of ingredients, and it actually has the consistency of an eye cream or delicate lotion. But the almond oil that’s inside of it will noticeably sit on your hands, which is a little awkward if they’re already well moisturized. But the almond oil that’s in this Burt’s Bees product makes it fantastic for massaging into deep cracks or trouble spots. Since it comes in a neat little container, it’s easy to take this Burt’s Bees product out for on-the-go reapplication. 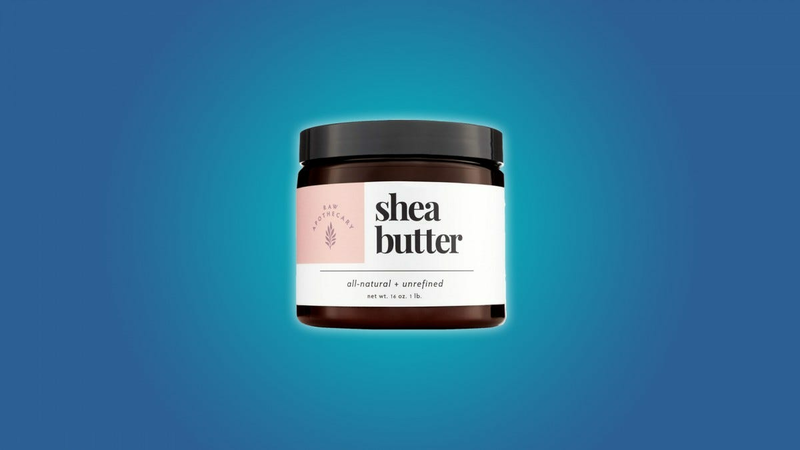 Shea butter has become a common ingredient in lotions and chapsticks. It’s thick, creamy, and full of vitamins A, E, and F. While raw shea butter is a little too fatty to use as a head-to-toe moisturizer (unless your entire body feels like sandpaper), it makes for a great hand cream. It’s thick enough to sit on your hands overnight, or while you’re watching TV, which is great if the area around your fingernails is particularly raw. That being said, this may not be the best cream for people who need to moisturize on-the-go or at work. Otherwise, you might give somebody a greasy handshake. You can grab a pound of raw shea butter from Raw Apothecary for $14.20, which is a good price for a whole pound of shea butter… but it’s a little expensive if you’re just looking for something to moisturize your hands with when it’s cold out. You could also use this raw shea butter for sunburns, damaged hair, dry lips, and bug bites, but that’s up to you. If you’re into natural moisturizers, but you’re turned off by shea butter’s thick now-you’re-greased-up feeling, then you should consider buying some cocoa butter. Like shea butter, cocoa butter has experienced a recent surge in popularity. It’s thick, it’s creamy, and it smells like chocolate candy. 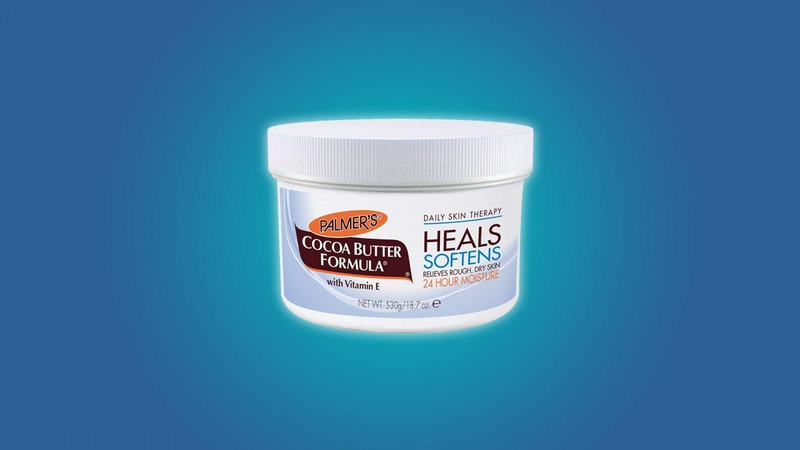 Palmer’s Cocoa Butter Formula is a reasonably priced cocoa butter product that could heal anybody’s winter-time hands. 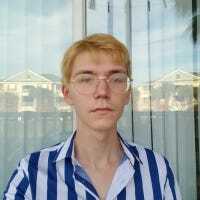 Yes, even yours. Really, there’s no reason why you shouldn’t use cocoa butter. It makes for a great on-the-go product because it doesn’t leave your hands too greasy. It smells fantastic, and it can be used to moisturize any part of your body. While $13.30 may seem a little expensive for a hand cream, you’re getting a little more than a pound of cocoa butter for $13.30. That should last you for a while, especially if it’s just going on your hands. Just a heads up; don’t leave this or any other kind of body butter in your car. It’s convenient to leave things in the car when you want to have them on the go, but this is the kind of thing that can liquefy and melt out of a tipped container. If you’re looking for a light, powerful, on-the-go hand cream, then you should consider the Miracle Hand Repair. Aloe has been lauded as the champion of moisturizing and healing for years. Aloe is a lightweight, deeply penetrating moisturizer, so it can heal your hands without turning you into a greasy mess. Not to mention, it doesn’t smell like anything. Really, this is the everyman of hand moisturizers. 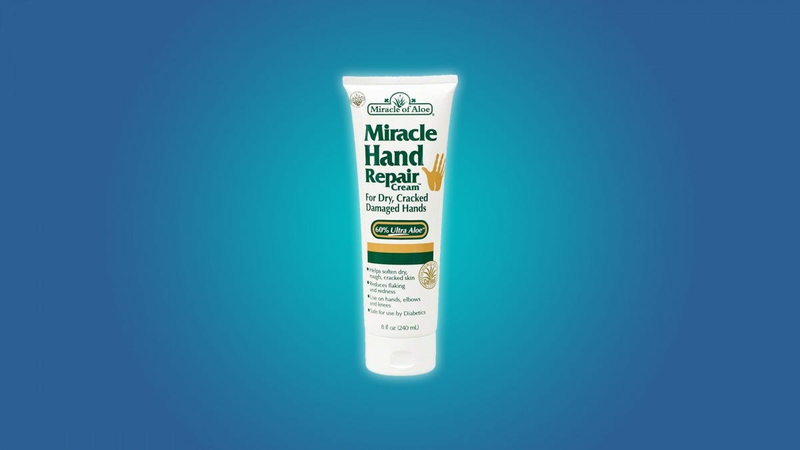 You can use Miracle Hand Repair to moisturize on the go or at work. It’s deeply penetrating, but it won’t cake your hands in moisturizer, so you don’t have to worry about giving somebody a slimy handshake or leaving greasy smudges all over the place. It’s important to look after your skin, but oh so easy to forget about it. These skincare subscription boxes help you keep your skin fresh and healthy.